On recommendation, my husband and I decided to visit Hawaii for our one year wedding anniversary. We chose Maui because it is less touristy, has great restaurants and of course is home of the famous volcano – Haleakala and we chose Kauai because it is even quieter than Maui and known for its tranquil and breathtaking views. Our trip was booked for August and our flight from New York was around 12-13 hours with a stop over in San Francisco/Los Angeles airport. We weren’t able to get direct flights however the journey wasn’t bad at all. We booked to stay at the Marriott Wailea in Maui and the Marriott in Kauai. After staying on both islands, I would say the Marriott in Maui was slightly better, however both equally served their purpose. Both hotels provided a full range of amazing breakfast goodies every morning, such as yummy cooked eggs, pastries and fresh fruit! 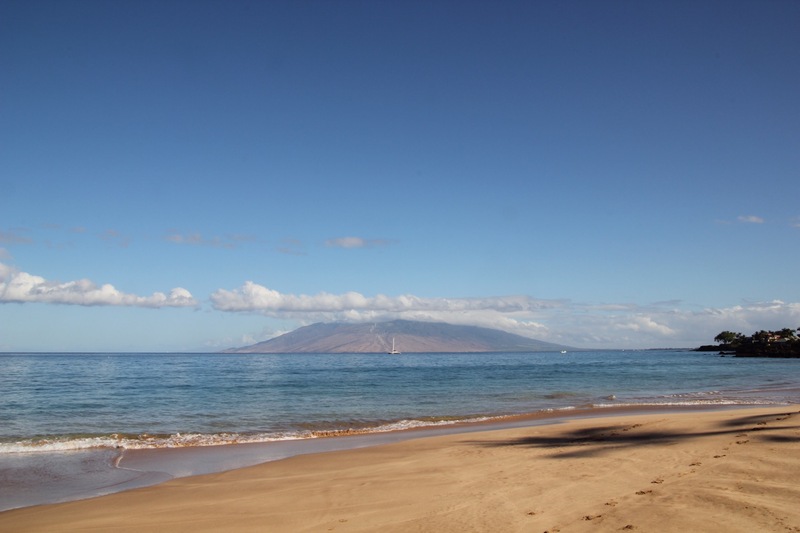 Maui is a gorgeous island – a highly sought after destination. Whether watching the sunrise from the top of Haleakala Crater, swimming beneath waterfalls or dining each night at Hawaiian regional spot, it’s a place where anyone can relax, escape, unwind, and where there’s constantly more to explore—regardless how often you visit. We knew Haleakala was something not to be missed so we booked our tour right away. On the day of the tour, we woke up at 3.30am and were picked up by 4.15am. We were driven to the camp site where we were given breakfast and information about our tour. We also received big warm jackets and gloves to wear at the top of the volcano. The roads to the top were windy but it was worth the ride. Once we got up to the top, we were taken to the viewing spot (bear in mind there are other tour groups going to the top as well). The skies were dark and the stars were out. We were lucky as there was no rain or clouds so our sky view was very clear. It was truly an amazing experience. We were a little frozen so I am glad we had packed our ear muffs! And guess what…we were extra lucky, as we got to see Jupiter, Mars and the Moon!!! How cool is that! As 5.30-6am approached the sun slowly began to rise- and what a sight this was. It was amazing to watch the sun slowly creep up and brighten the sky. The clouds looked like a sheet of cotton wool. The view just perfect. Once the sun had arisen, we picked up our bikes and helmets and began to bike down the volcano. We had to pedal downhill which took around 2 hours with rest spots included. Riding down steep windy volcano roads was a little scary. I was put in the front of the group because even the small kid was faster than me! We had pedal down single file to allow for traffic to pass (don’t worry you have the choice to sit in the car if you don’t want to bike down). Even though it was scary, the wind was in my hair and the views down were well worth it. We even stopped off at a local town for the best donuts ever! After a two hour bike ride and a little sore bottom, I have to say this was one of most amazing experiences. It is truly breathtaking from star and planet gazing, watching a beautiful sunrise above the clouds and biking down the volcano. Massive thumbs up from me. Other days we relaxed by the pool and went snorkeling. I always love seeing colorful fish and turtles! You can also attend a Hawaiian Luau at our hotel. Food can be mediocre, but overall experience was great. Everyone should attend a luau in Hawaii. Another option would be to do a tour or drive up the road to Hana and hike to the 400ft waterfall. However, we didn’t get a chance to this. Monkeypod Kitchen: After reading a few online reviews I made our dinner reservation. Once we got there we still had to wait a little for reserved table as it was very busy. I have to say this is a cool, funky and trendy place to eat. We were able to sit outside as the evenings were still warm. I ordered the gnocchi which was beautiful and delicate and my husband ordered the turkey burger. This was all washed down with a lovely a pineapple martini. I would definitely recommend this place as it has nice food and a lovely bar. But I would advise pre- booking to ensure no further waiting. Ferraro’s Bar e ristorante (Four Seasons): This place had a beautiful setting and ambiance- which made it a true dinner date with the husband. I was very impressed with light up menus- which helped looking at food options as we were sitting outside in the dark. We were served with bread and oil to start with. As we were craving Pizza (which wasn’t on the menu), the restaurant was able to accommodate our request and made a custom pizza which we shared with a whole wheat pasta dish. I have to say both dishes were very tasty and a tick in my box. This is a nice romantic place for dinner in an up scale hotel. Worth every penny! We even received small little complimentary donuts to take home. Duke’s: This was another top contender on the food front. Ensure you ask for a table near the front overlooking the beach. With every entrée you get access to the all you can eat salad bar which was very good. You can also order from lunch menu, just be careful as two different kitchens are making food so may be some time difference when food comes out. We ordered nachos to start with, and then risotto cake with Portobello mushroom for me and fish and chips for my hubby. All very delicious. Finally we had the famous “Hoola Pie” to finish. This was a mountain of cookie base, macadamia ice cream and chocolate fudge with whipped cream!!! All washed down with a pineapple mojito. A billion calories later- a very satisfied customer. Kauai is a relaxing and slow paced island – ideal for honeymooners or people who just want to disconnect from any stress. It is the island of beauty and tranquility. We spent our 5 days laying the pool but we did adventure out two times. Firstly we booked a helicopter tour around the island. I would highly recommend this as most of the island is inhabited meaning you cannot see it on foot. The helicopter ride (although slightly choppy) allowed us to see the whole island including the famous scenes from Jurassic Park, Indiana Jones and the Beach. It was fantastic!! Another day we hired our own car and drove around the island. Yes that’s little me driving! This was an amazing experience. We took our own map and begin to explore the waterfalls and beaches at our own pace. We even drank fresh coconut water from people selling it on the way. The Tavern (I believe this is now closed): This spot had such a beautiful location. If you are hiring a car and you are heading up or back from Napali Coast, then make a stop here. We had dinner at sunset and it was truly memorable. I ordered the rose sangria which was refreshing and came with a bowl of popcorn. We had humus to start with and for mains we had the vegetable medley for me and buttermilk fried chicken for my husband. Be aware this place closes at 9.30pm so ensure there is enough time to eat. The vegetable medley was amazing- eggplant, artichoke and courgette on a bed of kale and quinoa with a pesto and cream sauce. YUM!! Hawaii is a place of breathtaking views and the most amazing sunsets. The sun glistens and paints the most beautiful picture. 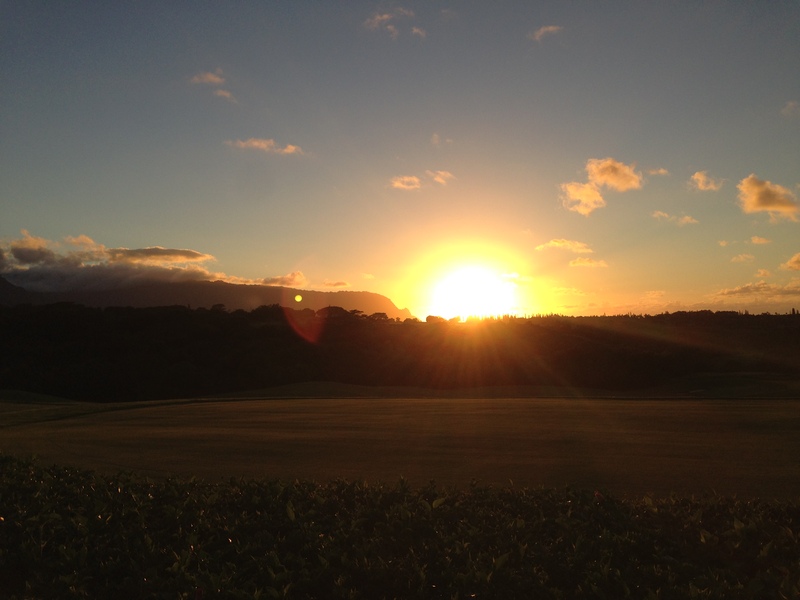 Of course, my pictures don’t do Hawaii any justice… You will just have to go visit and see for yourself! So I suggest after reading my blog, get planning on your Hawaiian holiday. Now I just have to convince my husband to take me again! What a beautiful story of an amazing holiday. Very tempted to visit the destinations.